Walmart, established in 1962, is an American multinational retailing corporation that operates as a chain of hypermarkets, discount department stores, and grocery stores. As of 2017, they have more than 12,000 stores and clubs in 28 countries. Walmart is the world's largest company by revenue as well as the largest private employer in the world with 2.3 million employees, providing both full-time and part-time jobs. CASHIER - Walmart cashiers operate checkout lines at store front ends. Job duties include finishing sales transactions, applying discounts and scanning coupons, answering questions about items and services, and price-checking items as needed. Applicants don't need experience for employment consideration. SALES ASSOCIATE - Another entry-level position at Walmart stores, sales associate jobs primarily include engaging with customers and assisting in sales. 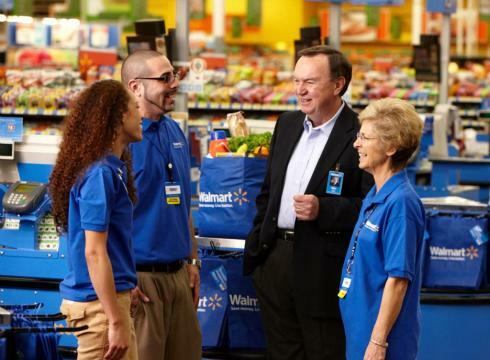 Walmart expects sales representatives to constantly secure remarkable customer assistance. MANAGER - Assistant managers, or Walmart department managers, oversee operations in specific departments at retail locations. High school diplomas typically prove necessary for employment consideration, as well. Candidates must possess demonstrated leadership and effective organizational and communication skills, as well.